Southgate School has had a very interesting history since it was established in 1907, with this in mind we wanted to retain some of the traditional elements in the school logo. We gave the logo a more prestigious look and feel, with new fonts, crest and simplification of the creatures. The school prospectus showcases some of Southgate’s successful students with profile images and achievements. 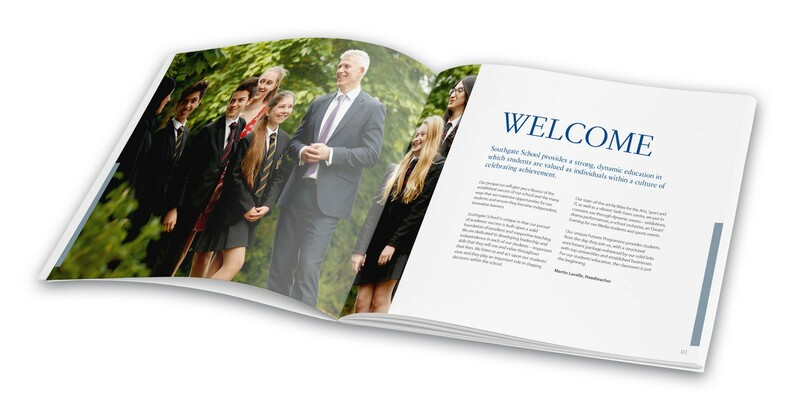 The school website uses the crisp blue and grey across the prospectus and the excellent photography highlights the school’s best elements.